Food is always a great thing to blog about and we just found out that Hoosier Homemade is having a Cupcake Challenge throughout the month of August! There are so many yummies on this blog...you've got to check it out, just for a little inspiration...you know, before the kids go back to school. 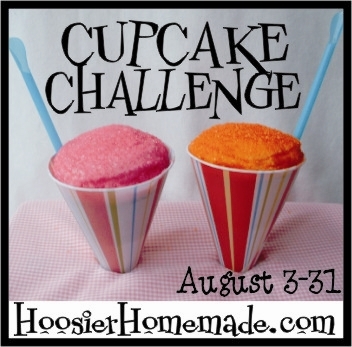 Hoosier Homemade can be found in our Food/Cooking/Baking category, along with several other fun foodie sites, such as So Far Away From TJ's, Bacon Girl, Is My Blog Burning?, The Best of Friends and Cooking To Save. The Food category is a little sparse right now, so if you know of a good foodie blog, let them know they need to list it right here at The Blog Guidebook!